Burlington is the largest city in the U.S. state of Vermont and the county seat of Chittenden County. Burlington had a population of 42,417 at the 2010 census. The city is the hub of the Burlington-South Burlington metropolitan area, consisting of the three northwestern Vermont counties of Chittenden, Franklin and Grand Isle and encompassing the cities of Burlington, South Burlington, and Winooski; the towns of Colchester, Essex, and Williston; and the village of Essex Junction. According to the 2012 U.S. Census estimates, the metro area had an estimated population of 213,701, approximately one third of Vermont’s total population. A regional college town, Burlington is home to the state’s flagship public university, the University of Vermont (“UVM”), as well as two small private colleges, Burlington College and Champlain College. In early 2015, Burlington became the first city in the United States to run completely on renewable energy. 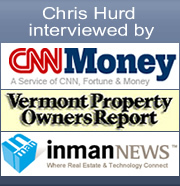 To view listings for any of these neighborhoods please check out our Burlington Vermont real estate listings page and move the cursor on the map to the area that corresponds to the image at the top of this page to see listings for that neighborhood. No other neighborhood in Burlington Vermont can boast about the infrastructure and amenities that Appletree Point and its Association provide. Not one. Price points range from over a million to be right on the lake with a single family home, to the $350,000 to $600,000 range for single family homes not right on the lake, to high $200’s for a townhouse. Appletree Point also has a well run Association with affordable cost effective association fees. Burlington’s most populous and suburban neighborhood, a northwest elongation/extension of the city, is located at all points north of Burlington High School, and includes North Beach and Leddy Park as well as the Burlington Beltline. It is sometimes referred to by locals as “North Burlington,” owing largely to the neighborhood’s residents being politically and culturally more conservative, relatively speaking, than the rest of the city. The Intervale cannot be considered a neighborhood but is a large area encompassing many locally owned organic farms and natural preserves along the Winooski River. 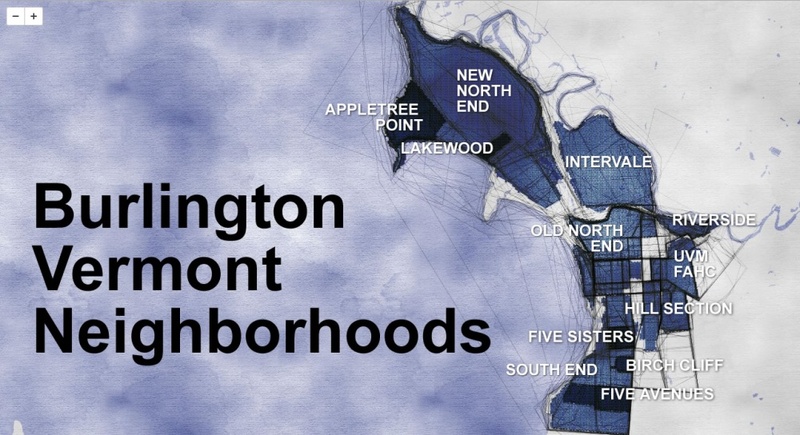 It is included on this list because its total area is larger than that of most neighborhoods in Burlington. Five Sisters is an historic neighborhood in the South End of Burlington, Vermont. There are approximately 300 homes on the neighborhood’s five streets which were completed in the late 19th and early 20th century. According to local legend, these streets were named after the developer’s five daughters, though local historians can neither confirm nor deny such rumors. In 2006, the Five Sisters neighborhood was named to the “top ten” neighborhoods in the United States by Cottage Living magazine.